You can plug a USB stick into a Wattbike and get some WSE files with loads of information about your workout, however those files are not recognised by Garmin or Strava etc. Garmin/Strava require TCX files. 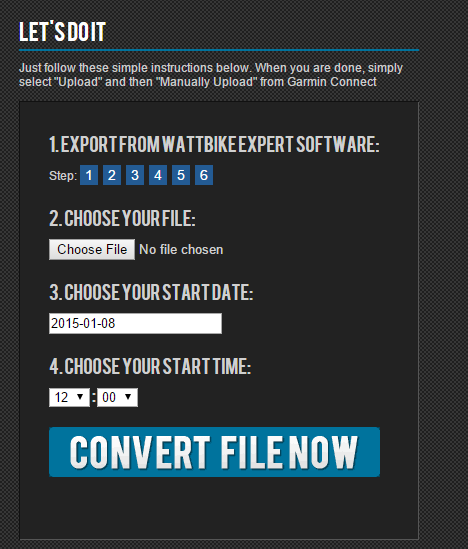 In order to convert the WSE files to TCX we need to import the WSE files into the “Wattbike Expert Software”, which allows us to export to a DAT file. 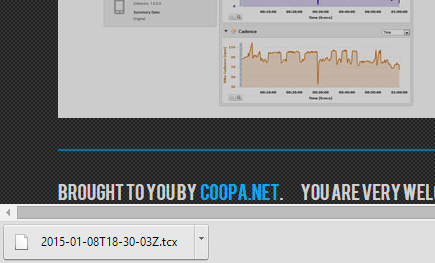 We can then use a web-site to convert the DAT files to TCX – then we can upload the workout to Garmin/ Strava. Before you start your training session on the wattbike, simply plug a USB stick into the bike – The USB port is on the back of the computer/display at the front of the bike. Note: Make sure there is nothing on the USB stick that you want to keep because the Wattbike will first format the USB stick. Select ‘Just ride’ and complete your work-out as normal. 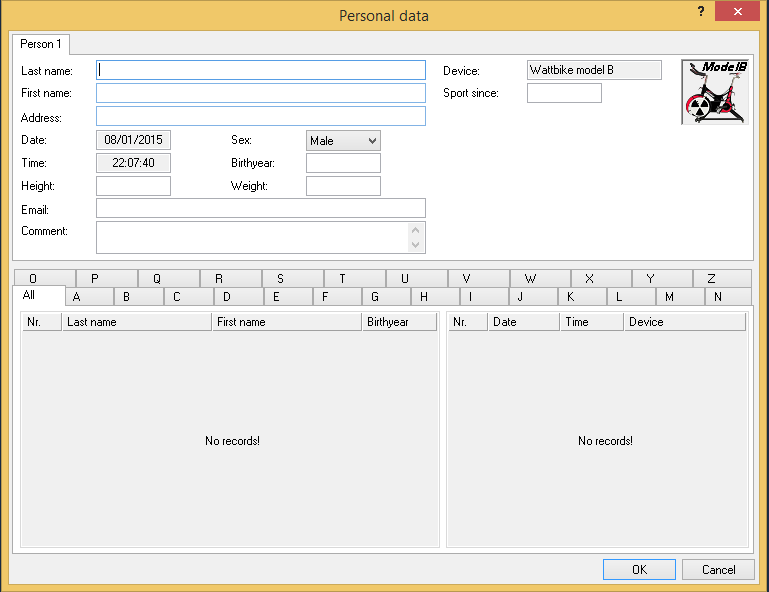 Pressing ESC at the end of the session will display a status bar showing ‘transferring files to USB’. This may scroll through a couple of times but will eventually complete. You may then take the USB stick out. 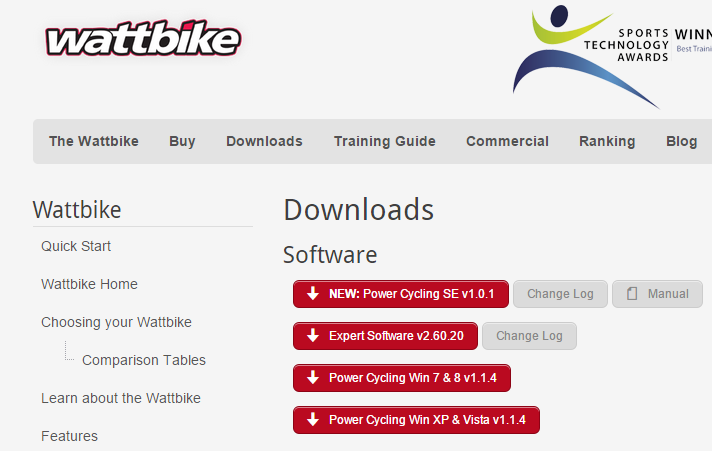 Once back at home you’ll need to install the Wattbike Expert Software – Go to Wattbike and click on the “Expert Software” download button. This will download the installer executable which you’ll need to run to install the software. 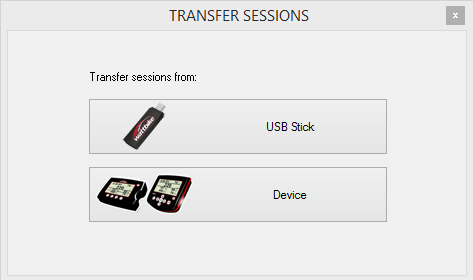 Plug your USB stick into the computer and click on “Device” / “Transfer Data from Logger”. 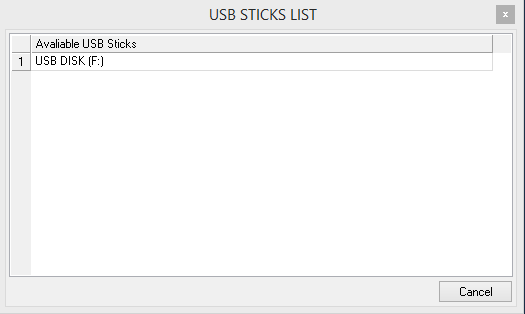 Then click on the ‘USB Stick’ option when the below screen is presented. Select the appropriate drive. (There will probably be just one shown). You probably want to click on “Import all sessions”, or you can select “Session Details” and pick individual sessions to import. 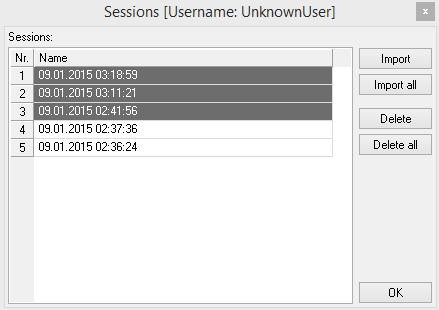 If you do decide to import just some sessions then they are listed with the most recent first. (Note: The date and time is taken from the Wattbike, so if it is wrong on the Wattbike then it’ll be wrong on the screen below). 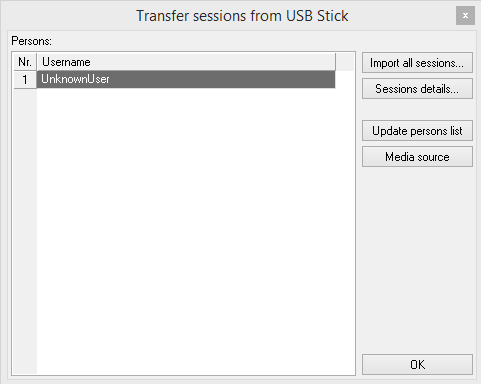 You are then taken back to the initial ‘transfer sessions from USB’ screen. Just wait – It might take a few seconds – but eventually you’ll be presented with the following screen. 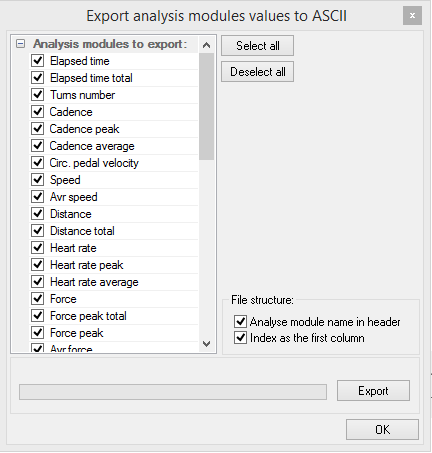 At this point we can select the “Analyse” menu and then select “Export analysis modules”. At this point we have the DAT file. We must now convert this to a TCX to upload to Garmin. This is the easy bit! Browse to wattbike2garmin and select the “Choose File” button. 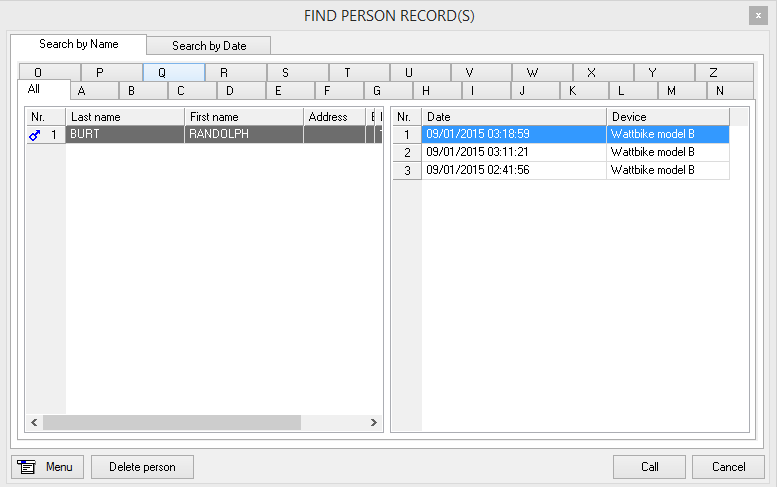 Select the DAT file you just exported, fill in the date and time and then select “Convert File Now”. The conversion is pretty quick and you should receive a TCX file in no time at all. You should now be able to connect to Garmin, Strava or wherever and select to manually upload the TCX file, whereupon you’ll see your speed, power and cadence (and heart rate if you paired a heart rate monitor with the Wattbike). If you find that the Wattbike Expert software does not recognise your USB stick then it may be that the Wattbike did not format the USB stick properly and thus all the files are in the wrong location. The correct file structure is as below, with a single folder in the root called “WATTBIKE Expert”. Under that there will be a “SessionFiles” folder with an “UnknownUser” folder and then all the WSE files (one for each work out). You can see that instead of there being a “WATTBIKE Expert” folder, there is a file with that name! Then all the WSE files are in the root. Trying to import these into the Wattbike Expert Software won’t work – the USB stick won’t be listed. If this happens to you then you’ll need to manually create the correct structure (right-click, new-folder etc) and then move all the XML files into the “WATTBIKE Expert\XMLFiles\UnknownUser” folder and move all the WSE files into the “WATTBIKE Expert\SessionFiles\UnknownUser”. 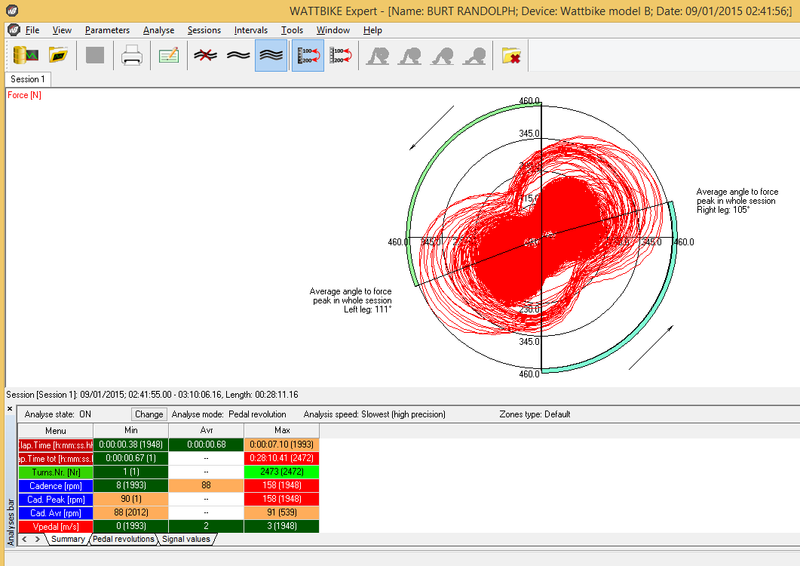 You should then be able to import the data into the Wattbike Expert Software application. It will be interesting to see, now that the folder/file structure is correct, whether future workouts transfer to the correct location on the USB stick. This entry was posted in Bike, Triathlon and tagged Bike, Garmin, Strava, TCX, Triathlon, Wattbike, Wattbike Expert Software, WSE. Bookmark the permalink. Hi Rob. I’ve updated the blog post with a ‘trouble shooting’ section explaining the problem you had. It’s a bit odd, however it seems the Wattbike did not initialise the USB stick correctly! Moving the files to the correct location fixed this. Cheers. Hi Randolph, any idea how to do this using a MAC? Problem is WATT Bike software don’t run on MACs. I managed fine with my windows PC but have now switched over to a MAC. Hi Randolph! Any ideas for us mac based watt bikers? I took my USB to gym last night only to come home with a nice file that I can’t do anything with and have no record of my workout! Is there anyway at all to take that file/data and get it into Trainingpeaks or Garmin, using a Mac! Sadly it still looks to be the case that there is no Mac equivalent of the windows software, so for now you’ll need to find a friendly PC owner willing to install the software and do the transfer for you. Excellent walk through – much appreciated ! My wattbike type B computer freezes and the action is to use the reset button on the back of the console, is there something I am doing cause this problem ? It might be worth checking on the Wattbike web-site or contacting them direct for advice – If it is a problem they know about then they may have a firmware update you can apply. thanks. randolph. I can upload onto the wattbike software and get to a file that will load to strava- however it comes up that i’ve ridden a distance (completely wrong), won’t give me power or speed or anything on strava yet has everything correct in the wattbike software? Hi Susan, this just happened to me. There seems to be a bug whereby if you pause during the session for say 5 minutes and then continue, those 5 minutes are truncated from the end of the data when exported from the shoddy wattbike software. At least, that’s what happened to me. when I finish the session and push escape nothing records to the usb although it is correctly formatted? Hi Rob, I’ve not had that problem so not sure what is happening there. Any chance you can try that USB stick on a different Wattbike – and also try a different USB stick on the original Wattbike. Might help narrow down where the problem is – USB or Wattbike. Hopefully just something funny about that USB stick. Would someone perhaps be able to do me a favour? I recorded a WSE file on the wattbike this morning however my housemate’s Wattbike Expert software (I have a Mac) can’t recognise the USB stick, even though it appears as present on the laptop. Is there a way to import the file other than through the Data Transfer from a USB stick, or additionally would someone be able to export to a DAT file for me if I sent them the WSE. file? Thank you. Writing an HTML5 game with no game engine – Just AngularJS and the HTML5 Canvas!